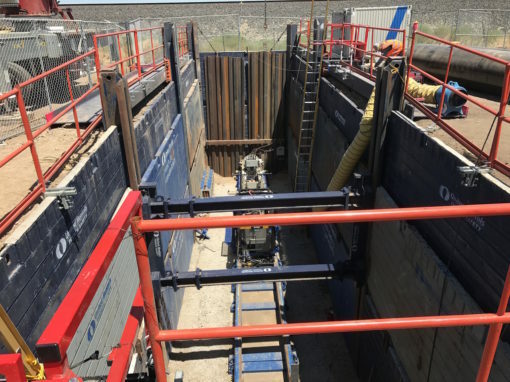 A cost-effective alternative to open excavation and an essential tool in today’s environmentally sensitive construction industry. 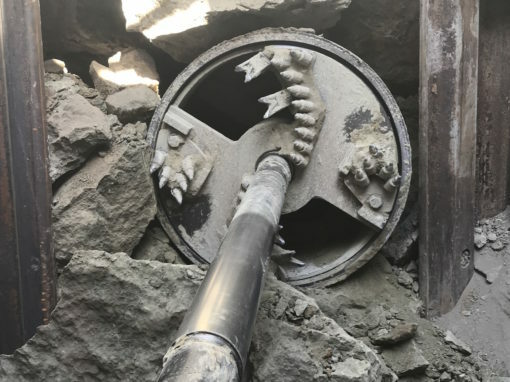 Auger boring and rock hammer boring are effective in penetrating granite, clay, sand, cobble and other unyielding geological materials. 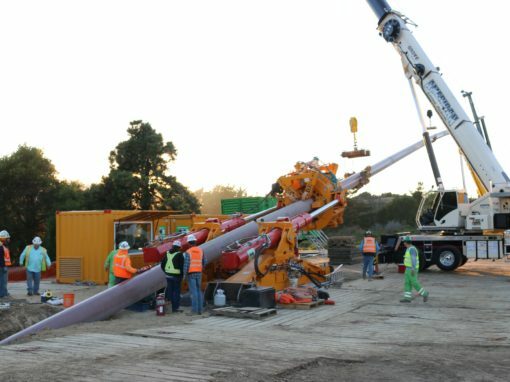 Brotherton Pipeline, Inc. has safely installed thousands of miles of natural gas distribution line throughout the Pacific Northwest and Northern California. Brotherton Pipeline’s state-of-the-art equipment plows to a precise depth and utilizes specially designed shears that capitalize on vibration to assist their movement through the soil. Cost effective solutions for the underground construction, utility, and pipeline industries. At Brotherton Pipeline, Inc. we are dedicated to providing our clients with the best services and value engineering possible. At Brotherton Pipeline we sincerely care about our team and our community. The well-being of our employees, the environment and our clients are second to none. 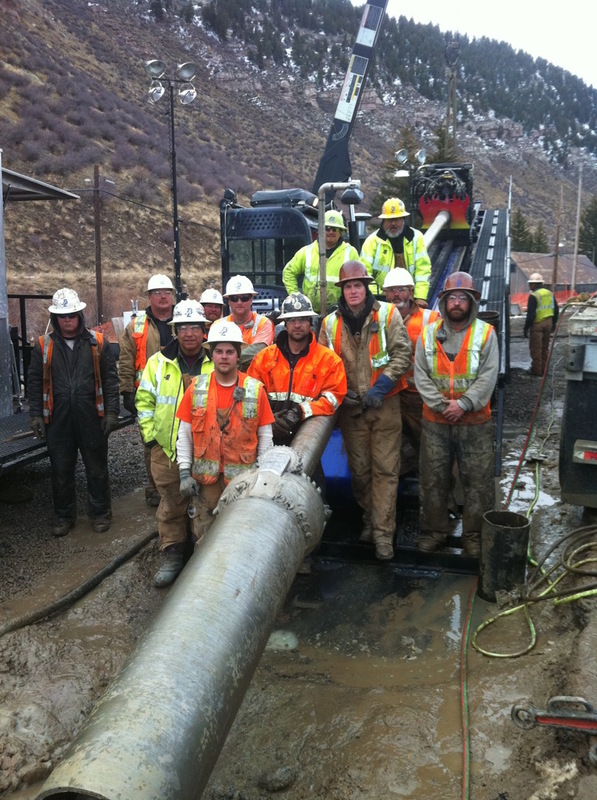 Our team includes some of the most experienced, dedicated, and highly motivated drillers in the industry. We possess the knowledge and experience to use the most modern technology, for effective, efficient and safe performance. Our mission is to exceed our customer’s expectations, by providing creative and cost-effective solutions, to ensure customer satisfaction; and to offer our clients the best value possible. We provide complete service packages, on time and on budget. We hand-select our dedicated teams based upon skill and experience, our actions are characterized by integrity, trust and respect. 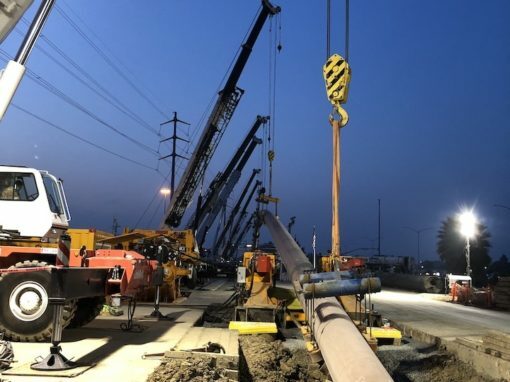 Brotherton Pipeline, Inc. has been qualified in the field of installation of gas transmission lines, distribution lines, plastic services, and installation of all underground utilities for over three decades. 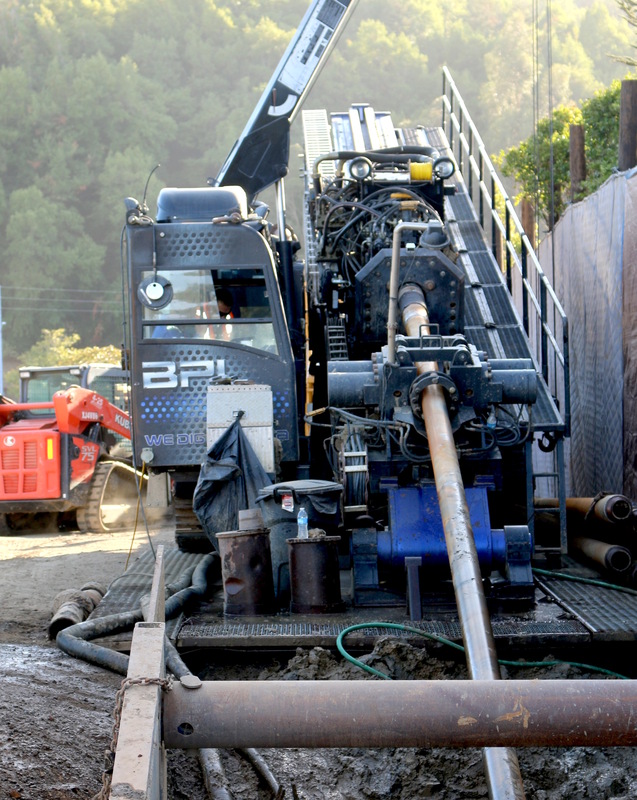 We have more than twenty years of experience in directional drilling, jack & bore, and auger casing bores. Our company has installed waterlines, communications cable, sewer pipe, storm drains and natural gas transmission and distribution lines in municipalities both large and small. Tough jobs are our specialty – we’ll tackle projects that other pipeline companies don’t want to handle. We are active members of National Utility Contractors of America (NUCA), Distribution Contractors Association (DCA), Midwest Energy Association (MEA), ISNetworld (ISN), Avetta (PICS), American Society of Safety Engineers (ASSE), Associated General Contractors (AGC), Pipeline Testing Consortium (PTC) and Veriforce. We are currently licensed to do business in the states of California, Oregon, Washington and Idaho. We are registered as a minority corporation in the states of Washington, California, and Oregon. Jim Brotherton and key employees of Brotherton Pipeline, Inc. were instrumental in the design and development of many of our original drill machines. Brotherton Pipeline, Inc. currently uses Ditch Witch, American Auger, and Vermeer drill machines. We also maintain a full-time machine and welding shop, which redesigns and upgrades directional drill heads and reams. A rock hammer system designed and developed by Jim Brotherton was patented in 1991. 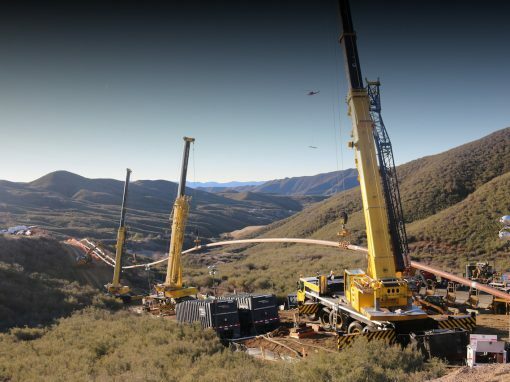 Brotherton Pipeline, Inc. is a family business with more than three decades of providing excellent service throughout the West. Numerous major clients have remained loyal to us over the years, testifying to our commitment to cost-conscious performance and quality personal service. Our company has its roots in Sage Pipeline, which was formed in Gold Hill, Oregon in 1965 by Warren Brotherton. He established a legacy of integrity, pride in workmanship, quality and professionalism that is continued by his son, Jim Brotherton, who created Brotherton Pipeline, Inc. in 1984. Building on a family commitment to excellence, Jim Brotherton has engineered the growth of his company into a leader in the underground utilities services industry. His sons, Matt and Israel, have learned the business literally from the ground up and have become experts at directional drilling. Several valuable employees have been with the firm since the Sage Pipeline days. Collectively, they carry forward the kind of business values and ethics so often missing in today’s impersonal construction climate. Jim’s experience in underground utility installation began over 30 years ago as a laborer to operator, welder, foreman, and superintendent over several crews. He has extensive knowledge of environmental issues which are essential in many of the contract areas Brotherton Pipeline operates in. Jim’s duties include all major decision-making, supervision of large bid jobs, purchasing and maintenance of company equipment, and monitoring all financial and administration matters throughout Brotherton Pipeline, Inc.
Peter has been working at Brotherton Pipeline, Inc. since 2006. Prior to working for BPL, he was employed with Avista Utilities for 10 years. During that time, he obtained a broad knowledge in the gas construction industry from designing natural gas distribution services and mains to the project management of large pipeline installations. Currently, Peter’s duties include the administration and financial supervision to help streamline efficiencies throughout Brotherton. Mike has been employed with Sage Pipeline and Brotherton Pipeline, Inc. since 1977 and has worked various locations throughout the Northwest on gas lines and other projects. Mike began as a laborer and has worked as a welder, operator, foreman, and superintendent. Mike has always believed that safety is the number one priority as well as creating as little environmental impact as possible. 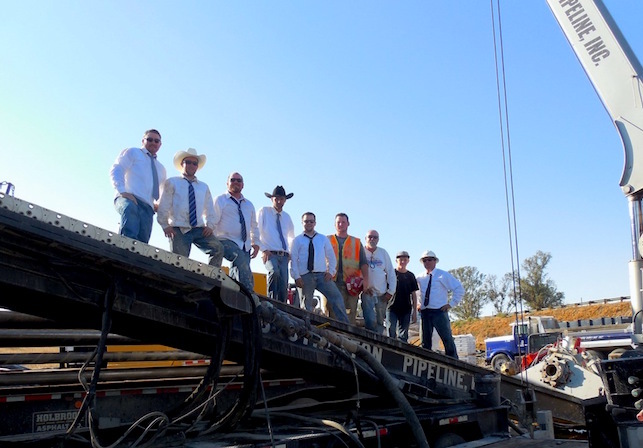 Cliff has been in the pipeline business since 1971, having worked for Victor Valley Pipeline, Arizona Pipeline, Sage Pipeline, and Brotherton Pipeline. He has performed all phases of work from laborer to supervisor. With many years of experience in estimating, Cliff is capable of seeing a project through from start to finish and ensuring that his crews are safe at all times. Redwood City, California - PG&E - HDD - 24"
Lodi, California - PG&E - Auger Bore 24"
Bakersfield, California - PG&E - Auger Bore 34"
Tracy, California - Shell - Auger Bore 36"
Tracy, California - PG&E - Auger Bore 36"
Livermore, California - PG&E - Auger Bore 24"